7digital, the first European site to offer DRM-free MP3 downloads, has condemned the new Nokia 'Comes with Music' service for locking the songs to one device. Although the service allows you to copy music onto PC and keep it after the 12 or 18 month subscription is up, Ben Drury, CEO of 7digital.com, has some strong views on the subject. 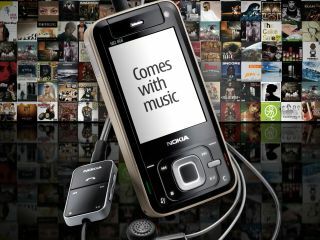 "Nokia's new service is an interesting new model for digital music but at first glance seems fatally flawed. "Songs downloaded through the Comes With Music service are not in MP3 format and are wrapped in DRM (Digital Rights Management) locks which means the downloads cannot be played across a multitude of music devices including iPods and all other MP3 players." "Nokia claims users will be able to keep any downloaded tracks forever, even if they decide not to renew their contract," Drury continues. "In reality, "forever" means for the lifetime of the device (typically two years) or computer they download to – users won't be able to transfer their music to new, non-Nokia devices in the future. "A compelling music offering needs to escape DRM. The high-quality DRM-free MP3 format is what digital music consumers have been waiting for. We know that consumers see DRM as somewhat of a hindrance when purchasing legal digital music."